These are called "scary thoughts" not because they're intended to frighten, but because they document some of the easily-overlooked changes that have shaped modern life. A digital camera that takes photos good enough for a magazine cover costs less than dinner for two at a good restaurant. The processor inside a plain-vanilla smartphone is faster than any desktop computer sold in 1999. 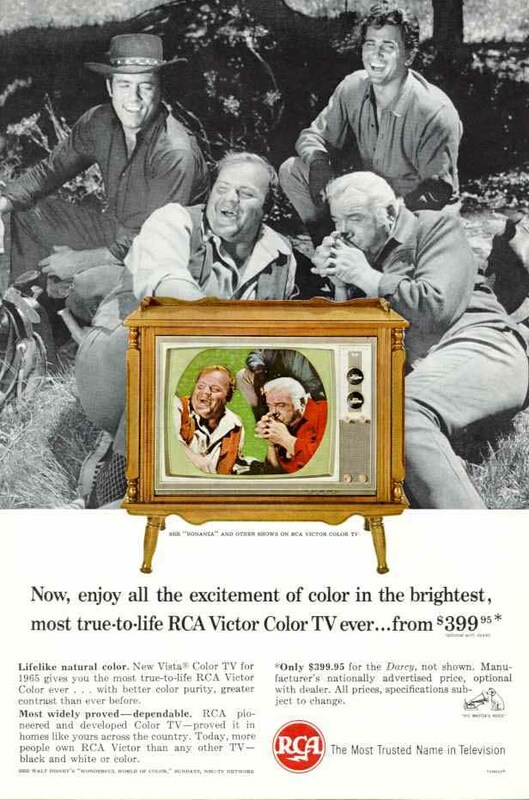 A basic color television cost $400 in 1965. Adjusted for inflation, that would be $2,800 today. The Federal debt is equal to $1,800 for every second that has passed since the US declared independence in 1776. The Constitution was written more than 70 years before anyone ever rode a bicycle. A first-time voter in November's elections was born the same year the text message was invented. Someday, the Burj Khalifa will outlive its usefulness and have to be dismantled. Only 50% of American adults used the Internet in Y2K. Today's micro-SD card stores as much data as a full computer hard disk stored ten years ago. It took almost 40 years after its invention for the microwave to reach widespread adoption. Even if you only know how to plug in a floor lamp, you know more about alternating current than Thomas Jefferson ever did. No one had ever seen dedicated pay-TV programming on cable before the Nixon Administration. In 1995, the average US household still paid $21 a month in long-distance phone charges. Then the cell phone arrived. Automobiles, airplanes, and television were all invented before anyone figured out how to make antihistamines. GPS has only been available for public use since 1993. Nobody ever heard the true sound of their own voice before 1877. Today, we get annoyed by voicemail. America's first oil well was built 150 years ago, which in turn was 150 years after the start of the Industrial Revolution. The first Moon landing is almost as distant in the past today as Lindbergh's crossing of the Atlantic was in 1969. Apple sold more iPhones in 2008 than the total number of refrigerators sold in all of the 1920s. The majority of American households didn't have air conditioning until the 1970s. American highways were rarely paved in concrete before World War II. In 1909, the leading cause of death in the United States was tuberculosis. Today, it kills fewer than 700 a year. Nobody knew CPR before 1960. If allergy medications recover just two weeks of lost productivity for 40 million Americans, that's 1.5 million person-years saved annually. Nobody thought to develop a measuring scale for tornado intensity until 1971. Average warning lead time today is 13 minutes. Too bad Leonardo da Vinci was born 550 years early for custom manufacturing. With CAD, he could've built most of his designs. Open-heart surgery is younger than many Baby Boomers, some of whom will live to have bio-engineered heart replacements. More people on the planet today would recognize a cell phone than a corded phone. Five years after WWII ended, Toyota was a major supplier to the US Army in the Korean War. What will we soon import from Iraq? The widespread use of weather radar started after President Obama was born. Now it's used to identify tornadoes before they happen. Some day, schoolkids will look for WhiteHouse.gov archives from the Reagan Administration and won't know why they don't exist. Scheduled transatlantic passenger flights have only been around for 70 years. No wonder we're baffled by pandemics. Henry Ford set the land speed record in 1904: 91 mph. Do you know anyone who drives a car that couldn't pass him today? Gandhi's campaign for India's independence predated commercial TV west of the Mississippi. Would he have used Twitter, Facebook? Legend says Abe Lincoln went to great lengths to borrow and return books. Imagine if he'd lived to see Amazon.com and Netflix. In the last 65 years, we've gone from never having seen Earth from space to real-time satellite views of much of the planet. Anything my grandmother learned in college in 1925 is most likely accessible in under 60 seconds using Google on my PDA. Akira Kurosawa and Stanley Kubrick were born at least a generation too early to take advantage of digital video cameras. My new cell phone contained 5 pre-recorded songs, which exceeds the world's entire library of recorded music in Mozart's time. Thanks to freeways and automobiles, you can cover the entire Oregon Trail today in under 24 hours. I know more about nuclear physics than Benjamin Franklin ever did. You do, too.